Analysis of honey has been aimed at authenticity, dilution by sugar molasses, health claims, and recently for environmental monitoring. Due to progress in analytical instrumentation (e.g. ICP-MS), many trace analytical labs have issued data about honey composition. 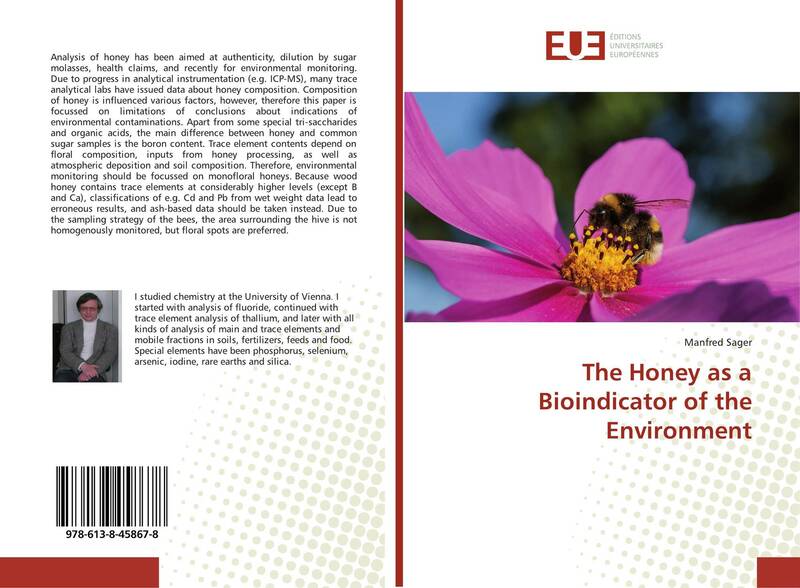 Composition of honey is influenced various factors, however, therefore this paper is focussed on limitations of conclusions about indications of environmental contaminations. Apart from some special tri-saccharides and organic acids, the main difference between honey and common sugar samples is the boron content. Trace element contents depend on floral composition, inputs from honey processing, as well as atmospheric deposition and soil composition. 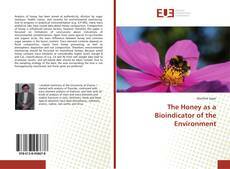 Therefore, environmental monitoring should be focussed on monofloral honeys. Because wood honey contains trace elements at considerably higher levels (except B and Ca), classifications of e.g. Cd and Pb from wet weight data lead to erroneous results, and ash-based data should be taken instead. Due to the sampling strategy of the bees, the area surrounding the hive is not homogenously monitored, but floral spots are preferred.